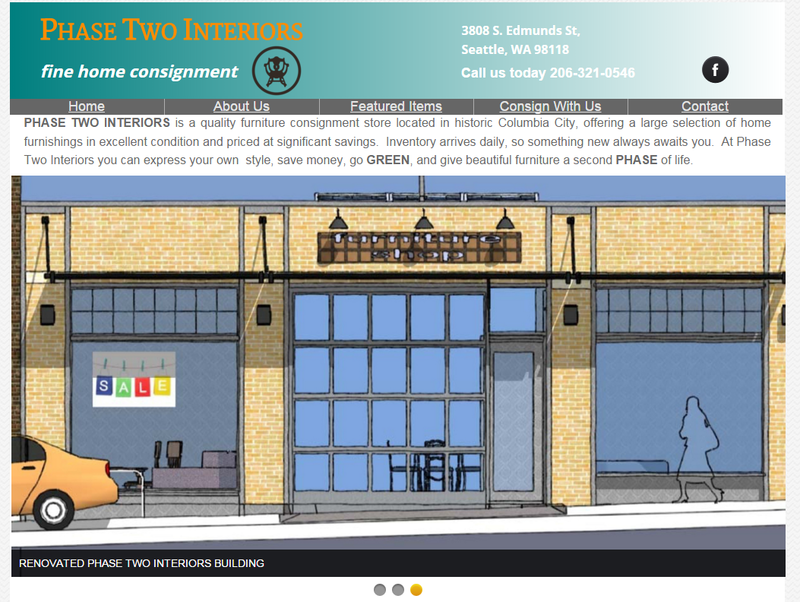 Ever since it was confirmed that Third Place Books is coming to the former Seward Park PCC site, many have been wondering what restaurant bookstore owner, Ron Sher, will be planning for the space. For those not familiar with Third Place, food is definitely part of the equation. The Ravenna location (also a former PCC) houses the popular Vios (which also has a branch of its Greek cafe on Capitol Hill) and The Pub at Third Place. Further north, the Lake Forest Park bookstore has a mini-food court of sorts with the Honey Bear Bakery, Kitto, and Burney Brotthers BBQ. Additionally, both Third Place Locations have plenty of space to find a spot to spread out, grab a coffee, and study, work, or read. As reported earlier, the initial permits for the new Seward Park Third Place also include plans for at least one restaurant (it also seems the basement will possibly be used as a pub). Poking around a bit, it appears that the name for the restaurant will be Raconteur. To make things just a bit more interesting, Coury Restaurants seem to be the group behind Racounteur. Who are they? I have no idea…except that they share an address with Genessee’s own Flying Squirrel Pizza. Columbia City’s newest offering, Super Six, is set to open this Thursday at 3pm. For more on this new project from the team behind Marination, click here. Island Soul’s owner, Theo Martin, is featured in a full write-up in this month’s Seattle’s Child. In addition to highlighting the restaurant, author Caitlyn Flynn explores the important role family and food play in Martin’s philosophy and business. Click here to read the whole thing. For Theo Martin, owner of Island Soul restaurant in Columbia City, cooking is a joyful and rewarding family experience at work and at home. Theo’s parents were also in the restaurant business, and “serving others is what makes food a very spiritual and happy field,” he said. Theo’s children, ages 14, 22 and 25, grew up at the restaurant and his two oldest kids now work there as a bartender/cook and a manager. It’s “a true family diner,” he said, adding that his brothers and nieces also work at Island Soul. Through hands-on experience at the restaurant, Theo’s children learned the ins and outs of running a business at an early age. While the official date has yet to be announced (one reliable rumor is as early as the 10th), Marination’s new Columbia City project, Super Six, has dropped a few hints on their Facebook page as to what’s about to open on Hudson St. If you are excited, click here to vote in Eater Seattle’s poll on the most anticipated fall restaurant openings. Thus far, Super Six has a clear lead. Update: The Super Six Twitter feed is also active. Here are a few more teasers. Back in July, a major fire unfortunately shut down Bob’s Quality Meats, a Columbia City institution and one of the oldest (and last) family-owned butcher shops in Seattle. Since then, the shop has been boarded up with many neighbors hoping they will eventually be able to reopen. This week, Bob’s posted the following message to their Facebook page, looking for neighborhood help in securing a historic preservation grant. If you’d like to add your name to the petition, do it soon!…the signed petitions need to be collected on Tuesday. See below for where to find one. Hi all, we are applying for a historic preservation grant to help repair and restore the building after the July 2 fire. We have created a petition to show community support for rebuilding the business, and we would love to get as many signatures as possible. You can sign it at Claw & Paw’s Pet Grocery in Hillman City, Columbia City Bakery, the Columbia City Alehouse, Full Tilt, or Rocket CrossFit. We’ll be collecting the petitions on Tuesday afternoon/evening. Please stop by one of these fine local establishments and sign over the long weekend if you can, and stay tuned for more ways you can help Bob’s come back. Thank you!